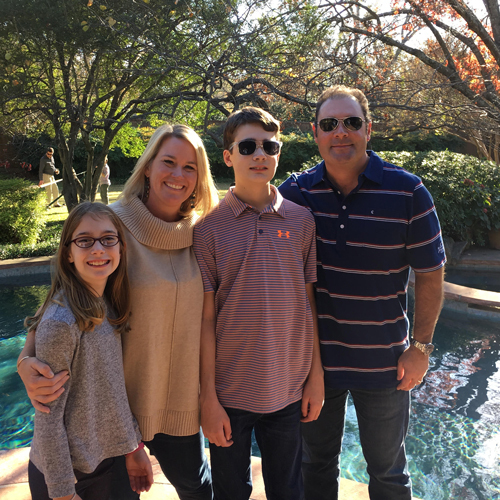 The Episcopal School of Dallas is proud to announce a gift to the new Lower School from Michael Munir '92 and his wife, Debbie. The Munirs are parents of Sarah '26 and Ethan. "Being an alum and a parent, I have always wanted to see Father Swann's vision for the school realized," said Michael. "Having the entire student body on one campus will truly make our community feel whole." Both Debbie and Michael actively volunteer at the school. Michael is on the Board of Directors and serves on the Design and Construction Committee. Michael said ESD is a special place that shouldn't be forgotten even after one graduates. "ESD is one of the most well-rounded environments that I have been a part of," Michael continued. "I hope that ESD never loses the atmosphere that produces good people." Gifts to the Campaign for The Episcopal School of Dallas can be paid over five years. ESD hopes to begin construction on the new Lower School in May 2018 so that the doors may open for the 2019-20 school year. Groundbreaking is pending the final leg of fundraising. For more information, please visit ESDTogetherWeWill.com or contact Denis Stokes, Chief Advancement Officer, at 214-353-5806.